Wilson County’s Mary McMillan won the grand prize — a 2007 Ford Ranger extended cab pick-up truck. Middle Tennessee Electric Membership Corporation members re-elected two incumbents to their board of directors seats and added two new ones during the cooperative’s Annual Meeting Saturday at Embassy Suites Murfreesboro. In Williamson County or District 1, Ann Little defeated Frank Harris by a vote count of 519-354. Both candidates are from Franklin. The seat had been occupied by Bill Giddens for the past 12 years; however, Giddens decided to retire this year and not run for a fifth term. Little now holds one of three seats for MTEMC’s District 1. For the Rutherford County or District 2 seat, Smyrna’s David Lee collected 700 votes. He ran unopposed. Lee holds one of three board seats representing Rutherford County. In the Wison County or District 4A seat, incumbent Luther Lenning was defeated by Tom Purkey by a 544-418 margin. Both candidates are from Mt. Juliet. In Wilson County’s District 4D, Lebanon’s Jim Mills collected 666 votes, running unopposed. There are a total of four board seats representing Wilson County. The annual meeting, held at Embassy Suites Murfreesboro - Hotel and Conference Center, completed a week-long opportunity for the cooperative’s members to vote for their board representatives. From Aug. 13-17, members could vote at their local district offices. In an organizational meeting following the voting, the board re-elected Wilson’ County’s Gordon Bone as chairman, Will Jordan of Rutherford County as vice chairman and Mike Woods of Rutherford County as secretary-treasurer. 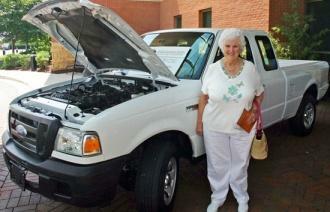 In addition, Mary McMillan of Watertown won the grand prize — a used 2007 Ford Ranger extended cab pick-up truck. More than 1,500 people attended the meeting. 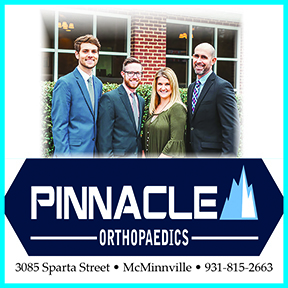 As part of its bylaws, MTEMC has held a members’ meeting every year since the not-for-profit cooperative was organized in 1936 by a group of Middle Tennessee citizens.